*Whoa! Here’s some news out of left field. 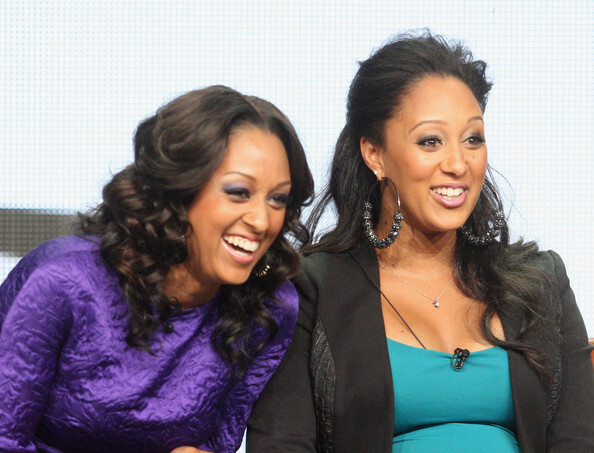 After three seasons, Tia and Tamera are quitting their family oriented reality show. The talented twins launched “Tia and Tamera” in 2011, giving fans a window in their everyday lives to show how they juggled motherhood and marriage with their careers. But hey Mowry fans, the twins will still be around. Tia Mowry-Hardrict has a TV comedy, “Instant Mom” and Tamera Mowry-Housley is coming back as a member on “The Real,” the talk show which had a Summer trial run on Fox and has been pick up and will re-emerge later this year. The reality show was the best thing for their careers. I’m glad. Reality shows bring out the worse in people…they are good girls. Don’t want to see them try to “do” fights or “conflicts”. Go have more babies and be happy couples. Stay away from reality TV ladies….you are far above it!! They had a reality show? I bet their ratings were probably low and it was either bow out gracefully or be fired. Gonna miss you girls But you gotta do whats best for yourselves and your families! Good Luck Girls. Your show was one of the better reality shows on TV. Much better than Duck Dynasty! Hate that show will never what it again. Why are the good shows leaving and bad ones staying? Something happened, I’m sure. I agree reality tv is not for normal good people it is too intrusive on the people and their families. T only good thing about it is that you can create other business ventures from it and I don’t think it is worth it because life happens to everybody famous or not. Tia and Tamera I am sixteen I really learn a lot about life from watching you all I watch sister over and over again miss you .